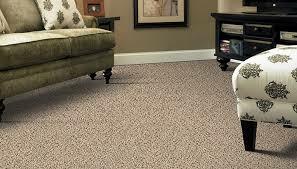 A high quality looking polyester carpet can be ruined by an unsightly spots and stains. Unprotected carpet doesn’t repel and spots or spillage as well as protecting your carpets. At TLC Carpet Care in Castle Rock Co after steam cleaning we can be able to help you remove spots and spills more effectively, you can avoid permanent staining. Dirt and soil is very abrasive and slices carpet yarns like a knife. This damaging dirt particles can easily get trapped into the backing of your carpets and bond to an unprotected fibers. By applying Dupont Teflon protector, you will be able to prevent this and thus increase the life of your carpet fro a longer period of time. When you frequently vacuum your protected carpet the soils will release from the carpet pile much more freely and effectively. The easier a spots and spills are to remove, the less carpet cleaning you will need. The less agitation you will have to use, and the less time it will take to remove those unsightly spots and spills. Many spots can be removed easily with just luke warm water. Having Dupont Teflon carpet protector applied to your carpet will help your next steam cleaning service. More dirt and soil will be removed the next time your carpeting is professionally steam cleaned.